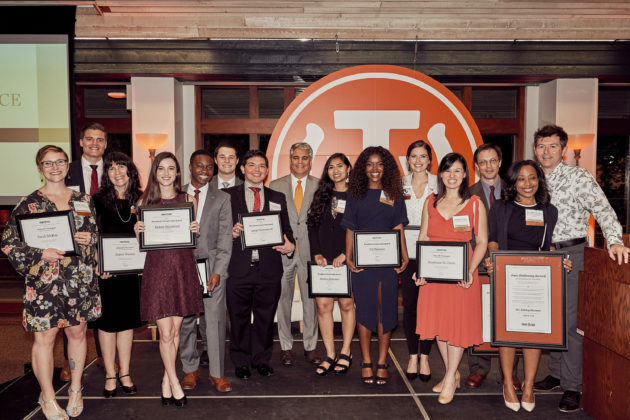 Since the Texas Exes’ founding, the association has played a major role in recognizing outstanding members of the campus community. On Wednesday night, for the first time in the organization’s history, the Texas Exes shined a spotlight on that tradition, by celebrating multiple longstanding awards in one evening. From passionate professors, to students set on making the world a better place, to advisors who are there to help them do just that, the ceremony honored these individuals with some of the most prestigious awards on campus. 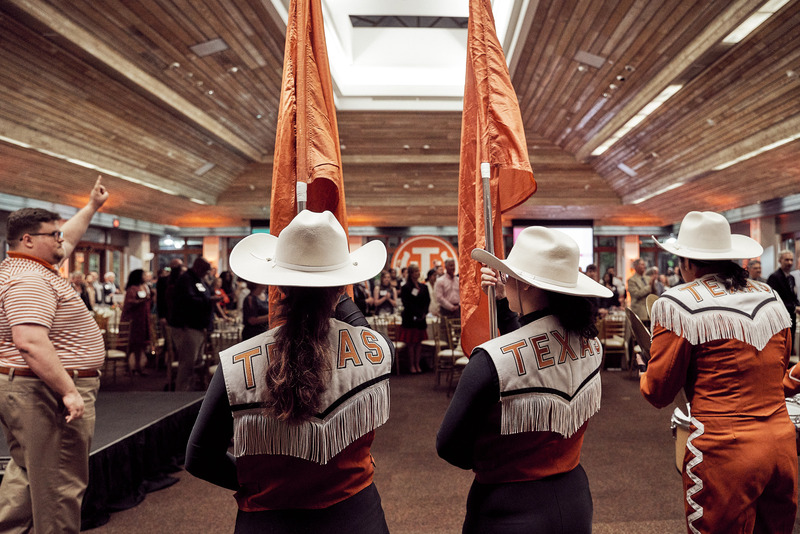 Emceed by Texas Exes Executive Director Chuck Harris, the event welcomed UT president Gregory L. Fenves, deans from across the university, and friends and family who gathered to celebrate the evening’s 14 honorees. 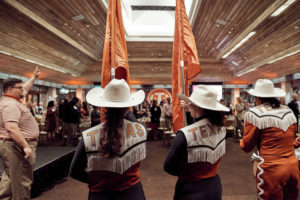 There was a dinner, speeches from some of the award recipients, and the night closed with a spirited “Eyes of Texas” from the Longhorn Band.